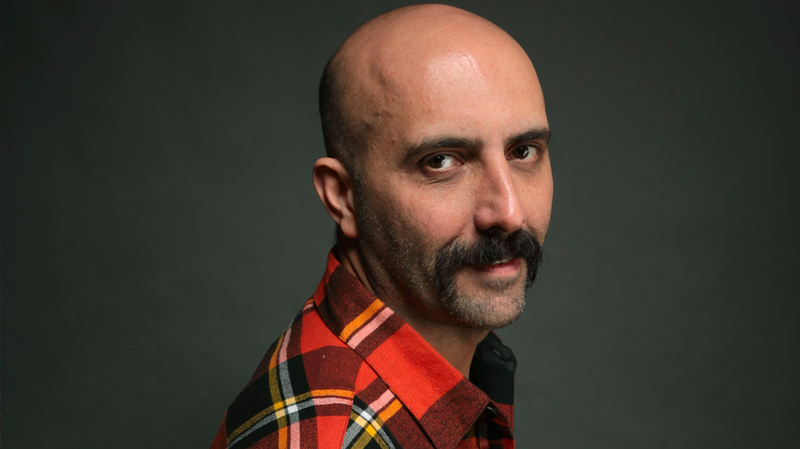 No stranger to controversy, director Gaspar Noé has been courting it since his sophomore film Irréversible created a sensation and divided audiences. His latest work, Climax, is a drug fueled dance nightmare set to a background of 90s music. The story revolves around a troupe who’s celebration is pushed towards acid inspired horror when their sangria is spiked. Casting mostly dancers over professional actors Noé has created a film that has garnered both awards and critical praise at Cannes. DAVID O’CONNELL spoke to Gaspar Noé about Climax, and the films that inspired it. When I saw the opening dance sequence, I expected that it was storyboarded and practiced to within an inch of its life, but you’ve mentioned that it’s not. Could you please tell us about that? I’ve selected all the dancers before the American choreographer arrived in Paris. She had already worked with all the dancers and had an idea “who was who”. She had two days to rehearse the choreography. On the Monday morning she had four additional dancers arrived during her rehearsal. We had the crane already setup, and watching her rehearsal, so we shot it in the afternoon. The whole scene is incredible. Especially given that two thirds of these dancers had never participated with professional choreography, they were Battle Jam dances. …and you’ve combined vastly different styles of dance? Originally I asked her to create a scene with all these different types of dancers I didn’t think it’d look like a Hollywood movie. I thought it’d be messy, but I was surprised by the choreography. I really loved it. In my turn I had to make the camera fly . If I had more money and time l probably would have rehearsed it more, but the whole movie was conceived and pre-produced in one month, and shot in 50 days, so we had to do it quickly. Obviously keeping that sense of movement with the camera was important to you as a director. Yes. I operated the camera during the whole movie as l thought it was good to be close to the characters of the movie all the time. Making comments and replay every take and discuss it all together with the dancer and the team. For that sequence when you get to know the characters I believe you just placed the camera in front of the dancers and let them go from there? Yeah…. twenty minutes, nonstop. Just have fun. Of course they’re kind of being themselves as they cannot lie about their charisma or their personality, but they’re playing someone else. So they’re kind of playing themselves and not playing themselves. The video and book collection you see at beginning of the film (along with our introduction to the dancers), are those a subtle clue to inform the audience what is about to happen, or works that inspired this film? In the original story there was no casting session recorded. It was a producer who said “it is a pity we don’t see more of the dancers”. So four days before we wrapped production, I just filmed a casting session with the dancer, and edited those into a couple of minute sessions. So I had six-seven minutes of edit I wanted to use in the movie, but because we used the video format from the 90s I had a black band on either side. So I put it on a TV set among books and videos I was watching in the 90s. Those books are linked to the movie, and the videotapes are the films that in one way or another inspired this movie. It is a catastrophe movie . A genre from the 70s and 80s, things like The Towering Inferno, The Poseidon Adventure, or Titanic would be another one. It’s about a group of people, usually rich or happy, in a closed space, and in American movies it is the good people who survive. And I’ve read that you’re disappointed that not as many people have walked out of this film… as say Irréversible? No no no. Not disappointed…. unexpected. The main difference is the dancers are so hypnotic, during the first half of the movie you are watching them like you would watch acrobats during the Olympic games, you are fascinated by them. Yeah… I know of all my movies this is the one that has the highest percentage of good reviews. Is getting that visceral reaction important to you? When you make a movie you want them to be moved, but you have to be playful with the audience.